John began at Grace as Priest in Charge on September 5, 2018. 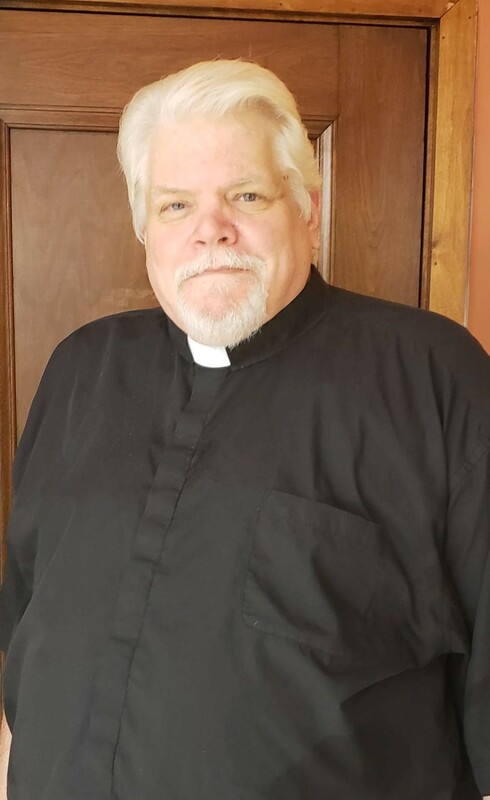 Most recently he had served as one of several priests at New Song Episcopal Church in Coralville where he was a member since it began in 1994. John grew up in Ames where is father was a teacher at Iowa State University in the Veternary program. John was a member of St Johns and St Davids Episcopal Churches which were operated as one parish at that time. John became ordained in the Episcopal Church in 2010 and began a journey of ministry serving with several organizations to feed the hungry such as Coralville Food Pantry and the Agape Cafe. He has served on the Youth Ministry Development Team for the Diocese of Iowa since it began and helps at many youth events throughout the state. John has been married to Joanna for 33 years and has two son's, Jack and Michael. Jack plays the guitar and handles the music at many youth events throughout the Diocese and Convention. Jack composes music that is used in the Diocese as well. Michael and his wife Christa welcomed their first child Eliza in to the world earlier this year and you will sure see John's eyes light up when he talks about that first Grandchild. Please be sure to take a few minutes to welcome John to the Grace family next time you come to church.